The taper punches in this 5 piece set are specially heat-treated to provide a hard working end and softer striking end to avoid chipping. All Gray punches and chisels are made from the highest quality materials for maximum tool life. Made in Canada and backed by Gray Tools worry-free lifetime warranty. Contains 3/32", 1/8", 5/32", 3/16" & 1/4" Taper Punches. A bevel edged chisel designed to satisfy the needs of DIY and professional users. The polypropylene handle provides control and comfort and through primarily designed for use with a mallet, will accept occasional use with a hammer. This product has an extra thick blade creating a chisel with superior strength. It is manufactured as a one piece drop forging with domed anti-mushroom head to prevent spreading of the striking head. It is used for smoothing the rippled surface left by scutching and is sometimes known as an "edging-in" chisel. The combination wrenches in this 19 piece set are precision broached for a tight and secure fit. The satin chrome finish provides outstanding corrosion resistance as a result of our proprietary in-house plating process. Made in Canada and backed by Gray Tools hassle worry-free lifetime warranty. 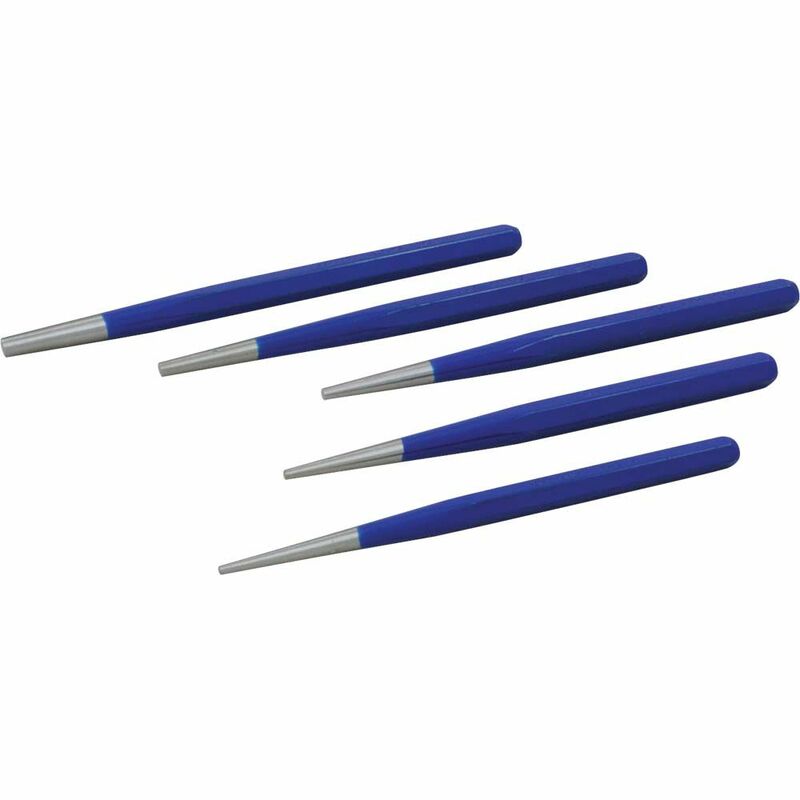 5 Piece Taper Punch Set The taper punches in this 5 piece set are specially heat-treated to provide a hard working end and softer striking end to avoid chipping. All Gray punches and chisels are made from the highest quality materials for maximum tool life. Made in Canada and backed by Gray Tools worry-free lifetime warranty.